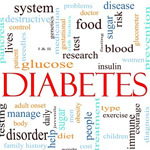 Type 1 diabetes is one of the most common diseases in the modern world, and is the fourth or fifth leading cause of death in most high-income countries. Diabetes Mellitus is caused when the immune system destroys the cells of the pancreas that release insulin, leaving the patient unable to control his own blood sugar. Diabetes is undoubtedly one of the most challenging health problems in the 21st century, with an estimated 552 million people afflicted in the next 16 years. What is most surprising is the rapid increase of type 1 diabetes among children, with 78,000 affected each year, even in those younger than five years of age. Various studies have been conducted to pinpoint the cause of this sudden increase in children with diabetes with theories being put forward – this includes the 'hygiene hypothesis' that suggests exposure, or rather the lack of exposure, to infectious disease when young might be linked to the development of autoimmunity. One study conducted to explore this theory suggests it is possible that the increasing global incidence of type 1 diabetes may be linked to lack of exposure to pathogens during early life. The authors are keen to use further studies to identify other environmental factors which may predispose to type 1 diabetes. Study leader Professor Stephen Fava, Consultant in Diabetes and Endocrinology at Mater Dei Hospital, Malta & Associate Professor of Medicine at the University of Malta, said: "Our data shows that type 1 diabetes rates were highest in countries where markers of exposure to infectious disease were lowest. Incidence of type 1 diabetes was significantly linked to mortality from a variety of infectious diseases and to the local susceptibility of a common bacterium to antibiotics. These data provide support for the notion that the immune system can somehow become disordered and attack the body's own cells if it is not trained by regular exposure to micro-organisms -- the so called hygiene hypothesis. More research is needed to try to identify other environmental factors that may be linked to the continuing conundrum of rising type 1 diabetes rates." This increase suggests that encounters between the developing immune system in young children and micro-organisms such as bacteria and parasites are part of human evolution and may therefore protect against the development of auto-immunity. Another theory being explored is the infant diet, which has been of particular interest in the origin of the disease, with Brittni Frederiksen, M.P.H., Colorado School of Public Health, University of Colorado, Aurora, and colleagues examining the associations between prenatal and infant exposures, especially early infant diet, and the development of type 1 diabetes. The Diabetes Autoimmunity Study in the Young, a 10-year project conducted at St. Joseph's Hospital in Denver, studied 1,835 children by screening the umbilical cord blood for diabetes susceptibility and the presence of insulin-targeting antibodies and with type 1 diabetes. These children’s progress was then followed from birth, with the focus on when solid foods were introduced, what foods were eaten, and whether the child went on to develop type 1 diabetes. Babies who ate their first solid food either before four months or after six months of age were more likely to develop type 1 diabetes than those who were exposed to solids when they were between four to five months of age. 53 of the children observed developed type 1 diabetes later on, although the study found babies that continued to be breastfed during the introduction of wheat and barley saw a lessened risk. The introduction of vegetables and meat did not have an impact, researchers said. "Our data suggests multiple foods/antigens play a role and that there is a complex relationship between the timing and type of infant food exposures and diabetes risk. The authors conclude there appears to be a safe window in which to introduce solid foods between 4 and 5 months of age; solid foods should be introduced while continuing to breastfeed to minimise type 1 diabetes risk in genetically susceptible children. These findings should be replicated in a larger cohort for confirmation,"